Why would you want tart cherry juice from Cheribundi? Well to start let’s share how cheribundi™ was created. It happened when someone was snacking on tart cherries and it eased a regular person’s back pain. Food scientists at Cornell University who not only uncovered the benefits of tart cherries, but also developed a proprietary juicing process so all the cherry-goodness and nutrients could be delivered in a great tasting juice! 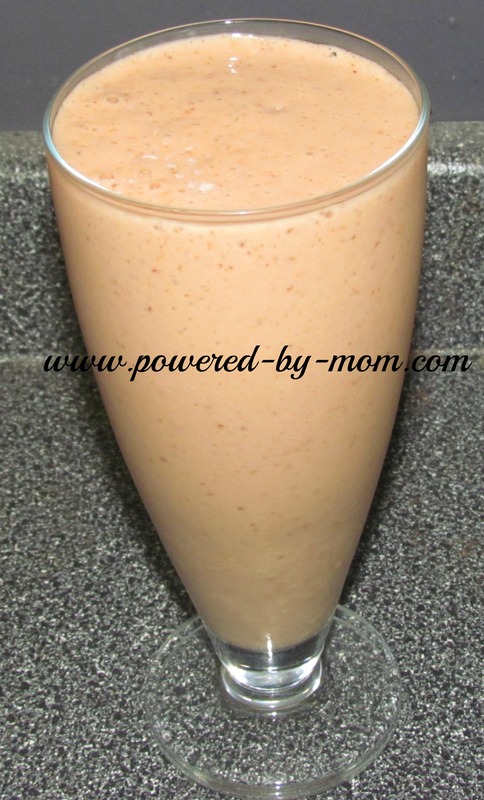 It is packed full of phytonutrients and other superfruits and juices just can’t compare. I received an assortment of the Cheribundi teas and the original Cheribundi (the black bottles) which have a higher concentration of tart cherries. The teas are great for drinking any time and in fact I take them to work with me and have it as an afternoon refreshing drink instead of coffee. If you’re not big on tartness then for the original cheribundi you want to have it in a smoothie as it does have a higher concentration of the cherries. That is exactly what I did I use the black bottles for our smoothies as it’s good for my rheumatoid arthritis. I had done some research before and knew that tart cherries were good for helping with inflammation. However I didn’t like the taste of most of the other brands I tried so it’s wonderful to have these options from Cheribundi. My favorite flavor is the cherry black tea one oh my it tastes so good! As mentioned I make smoothies with the black bottles and have tried a few variations. The smoothie is with mango juice, bananas and pineapples and of course cheribundi. These smoothies are packed full of phytonutrients thanks to Cheribundi! Testing. 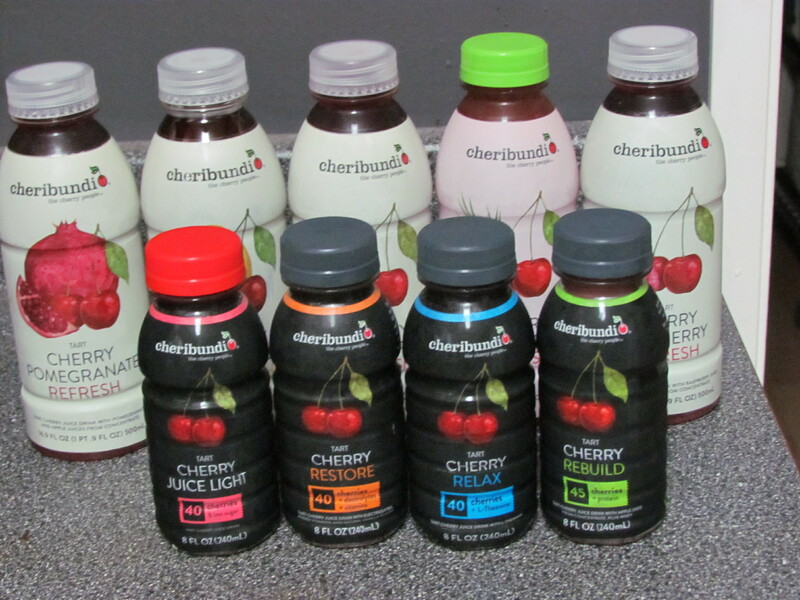 cheribundi™ has been tested in the lab and on the playing field by amateur, college and professional athletes. The tests have revealed that a daily regimen of our cherry juice aids everyone from pro-athletes to those just trying to stay fit or active and healthy but EVERYONE can benefit from it! GO HERE to see all the teams that currently use Cheribundi such as those in the NHL, NFL and NCAA! So could you use a juice full of nutrients, that helps inflammation and pain and so much more?! One lucky winner will receive a mixed case of the functional cherry juice (this one has the most cherries in it) from Cheribundi! Enter on the rafflecopter below! Tart Cherry Pomegranate Refresh sounds perfect but I’m curious the cherry green tea!! I have actually tried the Tart Cherry Juice – it is delicious. I would love to try the Cherry Relax and Cherry Blueberry. Tart cherry juice for my RA. I’d like to try them all to see which my 22month old daughter with arthritis would enjoy and respond well to. I would like to try the Tart Cherry Blueberry Refresh and the Tart Cherry Lemonade Refresh. would love to try the cherry restore.My body is so angry with me right now. Have arthritis, thyroid problems and some weird autoimmune thing called vasculitis. All cause pain. So anxious to see what this does. I actually love cherries and eat them anytime they are in the stores. Anythung that will take my pain away I’m willing to try! I’d love the Tart Cherry Relax. I have to calm down! I love variety and having options, so I would want to try all the products! I would love to try the cherry blueberry. It sounds yummy! I would start with the Cherry Pomegranate but they all sound GREAT! cherry lemonade sounds so good! Cherry Blueberry and Cherry Raspberry are 2 flavors I’d love to try! The tweet automatically posts about lice instead of cherry juice when I clicked it lol! Cherry Pomegranate refresh or Cherry jasmine tea both sound awesome. I love natural cherry flavor. I’d like to try the Cherry Jasmine Tea Refresh! I want to try the Tru-Cheri Tart Cherry Juice. Cherry Green Tea for me! I’d love to try the Tart Cherry Juice light. A lot of them look great but I would like to try Tart Cherry Juice Light. I love any Cherry drinks, but I especially want to try the Cherry Pomegranate and the Cherry Cranberry drinks. Cherry Rebuild Juice sounds fabulous! Tart Cherry Blueberry Refresh sounds good! Just wanted to let you know the tweet button in the Rafflecopter tweets something about lice so I used the tweet button on the bottom of the post. Cherry lemonade and cherry black tea. But they all sound delicious! I would like to try the raspberry flavor. I’d like to try the Tart Cherry Lemonade Refresh. I’d like to try the Tart cherry juice light. I would like several but the pomegranate or lemonade sounds yummy! I think the blueberry would be good as well. I’d love to try the Tart Cherry Blueberry Refresh! The blueberry, raspberry, and pomegranate. Sounds so good! Thanks for the great giveaways! Cherry Green tea sounds so refreshing. I would love to try their Tart Cherry Blueberry Refresh. I would Love to try the Cherry Pomegranate. I’d most like to try tart cherry blueberry refresh. I am very interested in the pain and swelling reduction as I have ostio-arthritis. Cherry pomegranate. love pomegranate but would love to try them all….would love to put them in smoothies! YUM!!! I would love to try them all. Cherry Pomegranate sounds especially good.